RE/MAX Traders Unlimited offers a wide range of services to assist you throughout your home buying process. From finding a home to helping you move in - RE/MAX Traders Unlimited will be there every step of the way. 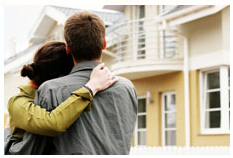 Buying a home, especially if it is your first home, can often seem to be a daunting task. Finding a home that meets your needs, getting the financing to purchase the home, inspecting your new home, information about the neighborhood, setting up utilities, and packing up and moving can seem like a large burden. RE/MAX Traders Unlimited takes the worry out of buying a home by assisting you in all areas of the home buying process. RE/MAX Traders Unlimited will be there to answer all of your questions and to guide you along every step of the way. Complete the form below and we'll do our part to help make home buying process a positive and seamless experience.